Under Armour (UA) and Celliant partnered once again to create a mineral-infused fabric that recycles the body’s energy during performance. The responsive fabric, found in the UA Rush collection, launches today at UA.com, in Brand Houses worldwide, and with select global retailers. 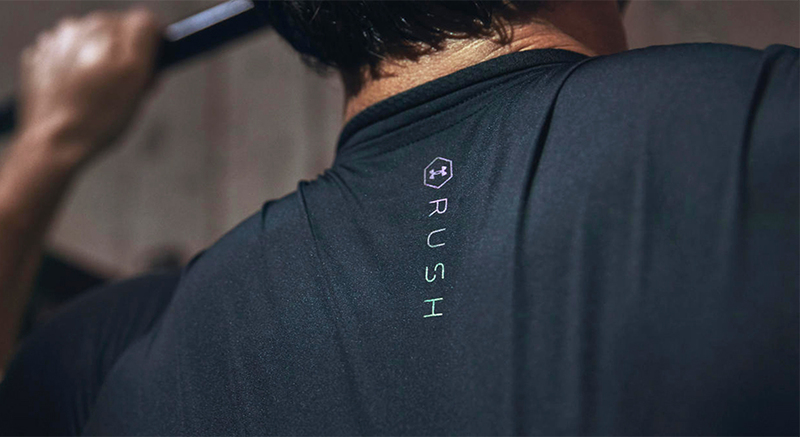 The Rush collection of apparel for men and women includes fitted tees, long-sleeved shirts, leggings and tights, and a sports bra and is intended to provide the same benefits to the body as an infrared sauna. Minerals found naturally in the earth are extracted and broken down into active particles, which are then melded together to form a proprietary blend. The blend is then infused into the fibers that are knit into the performance fabric that make up the gear in the collection. When the body gives off heat during a workout, the responsive fabric absorbs and converts it into infrared energy that is re-emitted back into the body. The recycled energy increases temporary localized circulation, promotes improved performance, energy, and recovery. When worn, the fabric stimulates increased endurance and strength. Global UA athletes Stephen Curry, Kelly O’Hara, and Anthony Joshua, were filmed wear-testing the Rush collection during training and will appear in a documentary launching this summer.